If you want to remove or edit this record, please follow the steps below. 2. 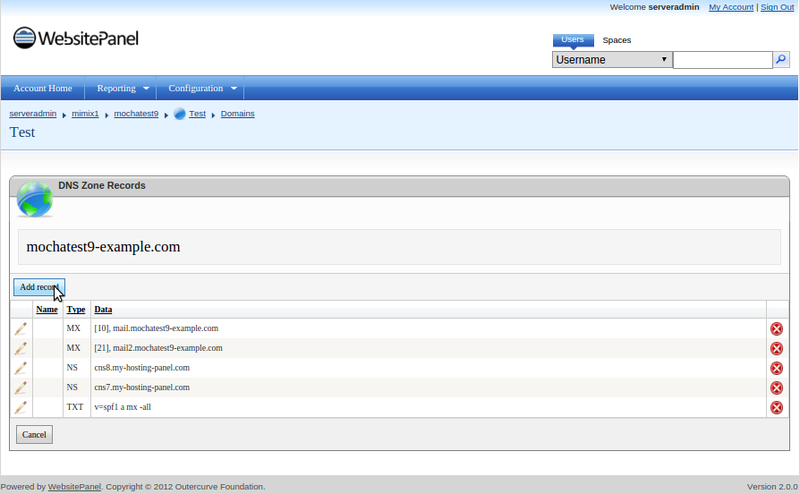 Click on the Domains icon. 3. Select the domain you wish to edit. 4. Click on Edit DNS zone records. 5. If you want to add a new SPF (TXT) record, first remove the existing TXT record and then add the new one by clicking the Add Record button. 6. Choose from the drop-down menu TXT record and add the value you desire, after that click Save and your new SPF record is created successfully. 1. 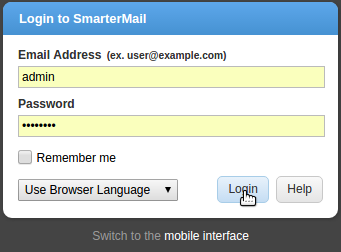 Log into SmarterMail as the Domain Administrator. 3. 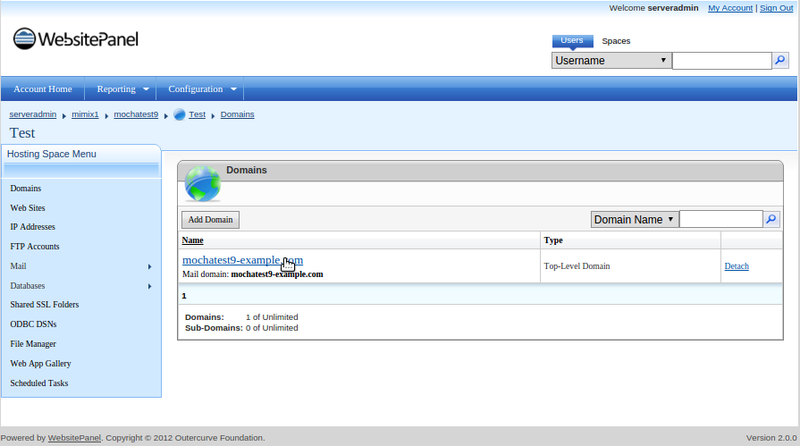 Expand the Domain Settings and Advanced Settings folders in the navigation pane. 5. 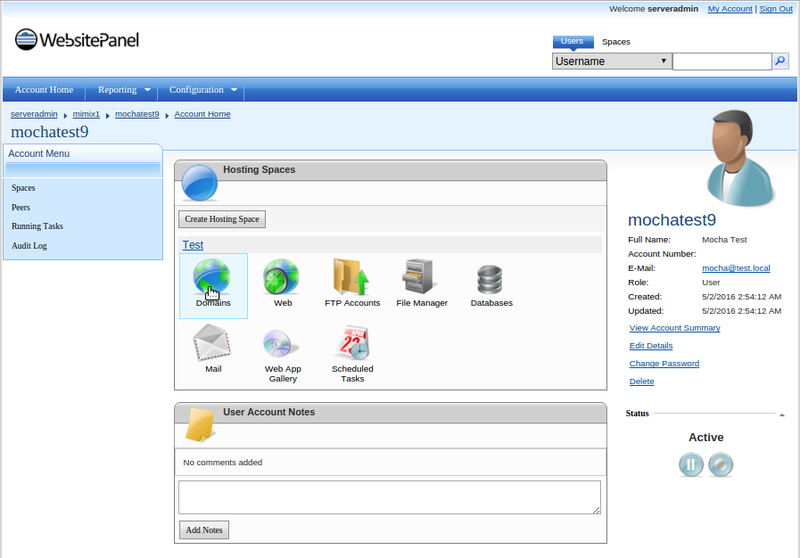 Click the Options tab and select the Enable DKIM Signing checkbox for DKIM or Enable Domain Key check box. 6. Click the Certificate tab. In the Selector field, enter a unique name. 7. 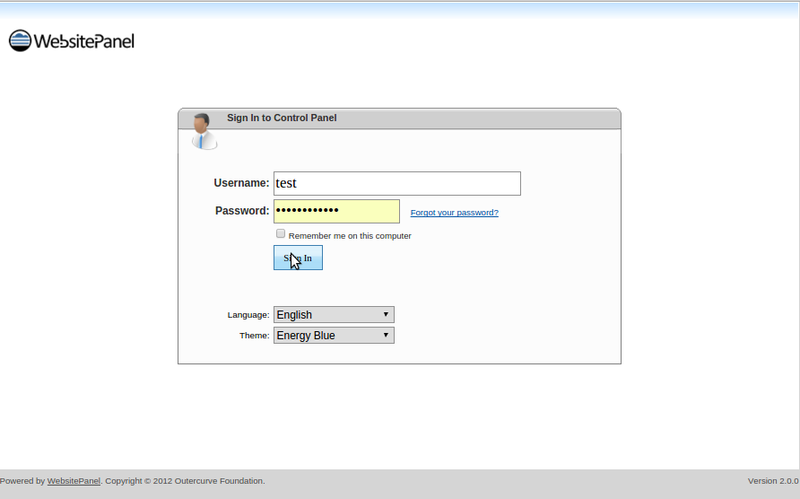 Click Generate Key in the content pane toolbar. The TXT Record Name and TXT Record Value fields will populate. 8. 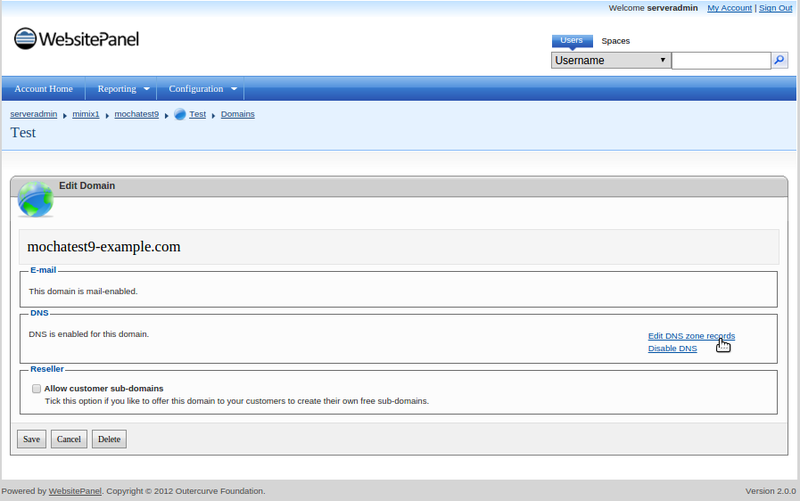 Set up the TXT Record in DNS zone for the domain using this name and value. 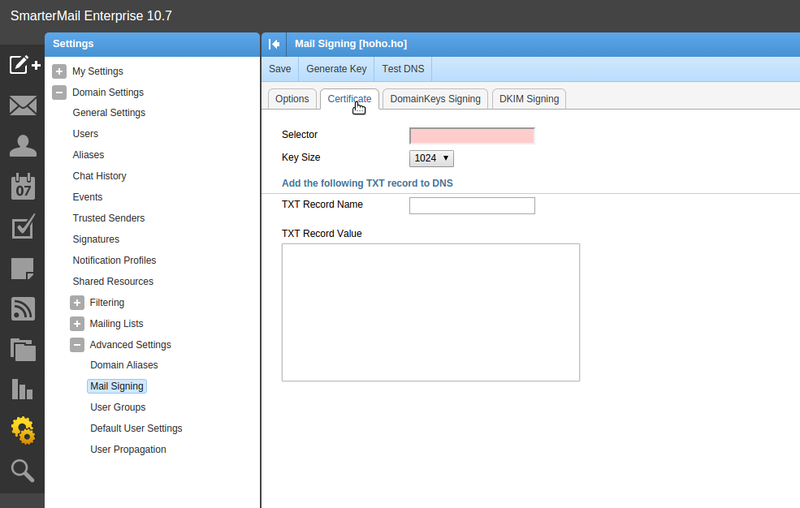 To do that please follow the exact same steps as ENABLING SPF RECORD just add the value for the DKIM in the TXT Record.